The VTO trainer is Redbird's first helicopter training device. After a multi-year research and development period, it hit the market in 2016. In July 2017, the FAA approved the VTO as an Advanced Aviation Training Device. Now, private pilot applicants can credit up to 7.5 hours, and instrument applicants can credit up to 20 hours of training time in the VTO. Redbird Flight's CEO, Todd Willinger, oversaw the device's development from the beginning. To better understand the impetus and challenges to bringing it to market, I asked him a few questions about the history of the VTO. 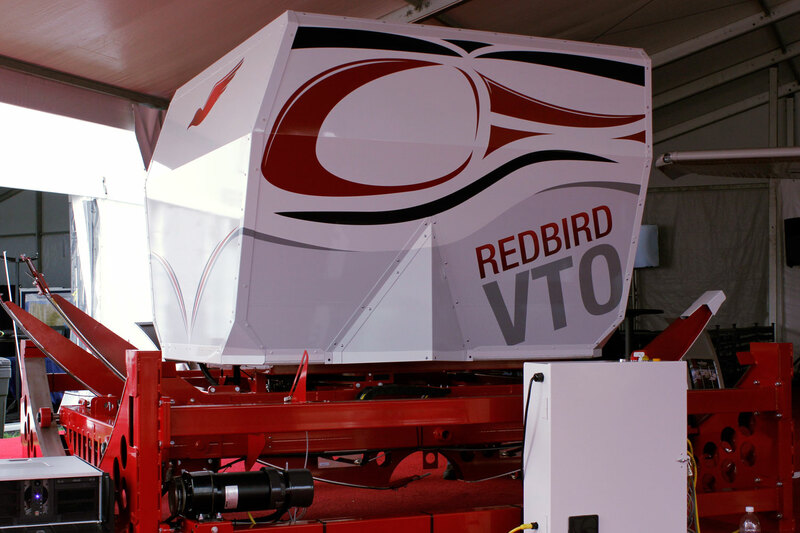 Q: Could you tell us a little bit about the Redbird VTO? A: The VTO was Redbird’s foray into the rotor-wing market. It’s a helicopter training device built on the lessons we learned in 7-8 years of making fixed-wing devices. With the VTO, as with all our training devices, the ultimate goal is to provide highly effective, cost-efficient training. Q: What makes it unique from other devices in the market? A: The motion makes it unique; that’s why we developed it. In ab initio training, the motion is exceptionally valuable. When someone is first learning how to do a flight maneuver, you want them to receive motion cues similar to what they would get in an aircraft. That’s especially true in helicopter training. In the air, a helicopter flies like an airplane for the most part. However, you need to feel all the ground reference maneuvers before you see them. If you can’t feel them, I’m not sure how effectively you actually can train. That’s why, unlike many of our fixed-wing devices, we only offer the VTO with a motion platform. 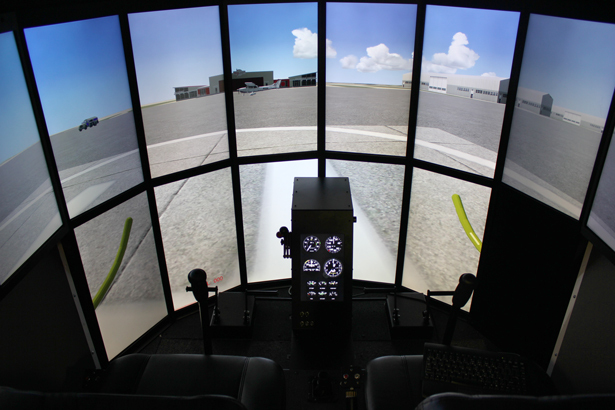 Q: Why is the VTO more often referred to as a “trainer” than a “simulator”? A: We categorized it that way because we want customers to use it for training. We didn't want the device solely to be associated with logging time for a pilot’s certificate. It's certified now, but we still view the VTO as the ideal trainer for learning maneuvers like hovering and autorotation. Q: Since the VTO is a trainer, you initially said that you saw little value in having it certified. It is now. What changed? A: It’s not that I don’t see the value in that, but we’ve always emphasized pilot proficiency first. Logging time is fantastic, and we want pilots to be able to log time on our devices, but the first goal is to develop proficiency and reduce the number of hours in the aircraft. Whether you want to achieve a private pilot’s certificate or an instrument rating, we fundamentally believe that training devices provide a much more effective learning environment than the aircraft. If you explained to a professional educator the way traditional learning takes place in flight training, they would laugh you out of the office. In an airplane, at 5,000 feet, with all the distractions - looking out windows and at the instruments, talking to ATC, etc. - it’s incredibly difficult to assimilate the information your instructor is giving you over the headset. Eventually, all those distractions are important to master, but a controlled environment - where the student doesn’t have to worry about the safety aspect of flying - is much better suited for gaining proficiency in primary maneuvers. Q: It sounds like there was an educational element to how the VTO was brought to market. Did you want to see it used in specific ways? You're using it correctly if it’s integrated into the training curriculum. The VTO isn’t a device that should be used as an afterthought. If you’re only utilizing it when the weather isn’t good enough to fly, or when there’s a mechanical problem with the aircraft, you shouldn’t buy one. It has to be a core component of your education and training curriculum. It’s effective for training, and cost-effective as well. Some of the savings can be passed on to the student. The other part can be kept by the flight training organization. We’ve been encouraging that model for years in the fixed-wing world, and now it’s achievable for rotor-wing training as well. Q: There seems to have been several reasons for developing the VTO. Did one specifically spark the project? A: When you look at the cost of rotorcraft training, it’s even higher than it is in fixed-wing. Helicopters and airplanes are both expensive machines. Yet, the hourly operating costs for helicopters are exponentially more than for airplanes. To rent a fairly new, training airplane, you’re looking at around $150-$160/hour (something like that). With your instructor’s time added, it’s more like $200/hour. With a rotor-wing, you can more than double that operating cost. You can expect to pay $340-$350/hour before adding your instructor’s time. So, while the time requirements are similar, operating a rotorcraft is much more expensive. That’s where the VTO comes into play. By reducing time in the aircraft, it lowers the total cost for students. Now that it's certified, you can log hours in it as well. Q: During research and development, the team gave the project a small chance of success. You approximated a 15-20% chance. Why? A: It was for two reasons. First, the motion platforms we had developed in the past wouldn’t provide the type of motion required for a rotor-wing device. That actually was one of the reasons we developed the MX2 platform. Beyond providing full-motion capabilities in a smaller package, the MX2 allowed us to experiment with the pivot point placement in our motion platform. However, modeling the flight characteristics of a rotorcraft was the bigger challenge. Modeling for a rotorcraft device is much different than what we were used to in the fixed-wing world. It took us a few years of development before we felt good about the flight characteristics. Q: Were there any major breakthroughs? A: There were significant moments, but I guess I wouldn’t call them breakthroughs. 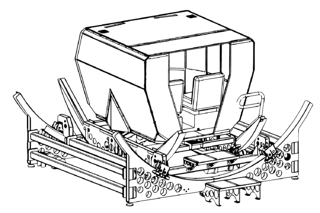 During our development cycles, we would find where our existing software couldn’t accommodate the characteristics we were trying to accomplish. So, it was about finding those points and then developing custom software to get over the hurdles. Q: Consolidating from three computers to one brought the price tag down considerably. What allowed that? A: One system always has been our design principle, but we thought multiple might be necessary for the VTO. It came down to the visual system. The VTO has 16 LCD monitors. A few things allowed us to consolidate. First, a new version of the Prepar3d software was released. Then, video card technology reached a point that we could run enough monitors out of a single chassis. Updates to the operating system often optimize the visual system as well. We’re still seeing that today. So, it sounds like part of it was developing the device at the right time. The technology had to catch up. Sure, and that constantly occurs. Consider a product like GIFT. If not for the advent of cloud computing, GIFT would be less accessible. Uploading, tracking, and analyzing flight data would be much more complicated. Thankfully, we have Moore’s Law. Silicon wafers shrink, raw computing technology advances, and we’re able to use it all to innovate flight simulation. Q: On that note, is anything on the horizon for Redbird in the rotor-wing market? A: There will be, but nothing is concrete at this point. Like we did in the fixed-wing market, adding a single-engine turbine option is a logical next step. It’s a challenge learning how the power curves of a piston and turbine engine are different. In a turbine-powered aircraft, you need to learn how to get in front of the power curve. That’s something we can help pilots address.